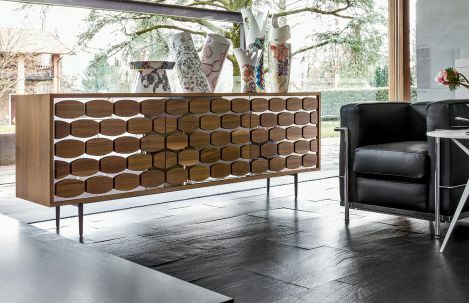 Sideboard is available in a variety of finishes and configurations. 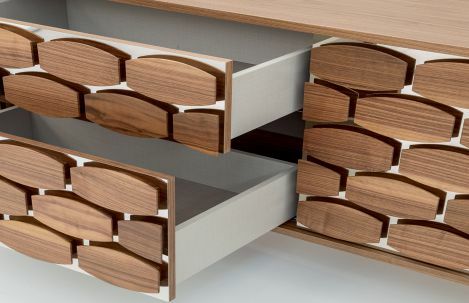 Interior drawers and adjustable shelves options. Metal base.